Fintech stalls. Taking a break? Out of favor? The fintech sector (all tech for that matter) is sort of being left out of the “Trump rally” of the past two days. Problem? Or just something to watch closely? 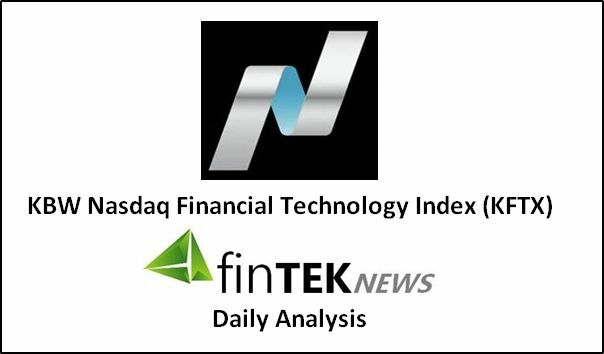 Oh well, in any event the NASDAQ KFTX fintech index stalled and settled down 1.51 points at 1021.25, off -0.15%. All in all, there were 19 issues up and 30 issues down. Truly a ‘downward slant’. It seems like a great deal of portfolio restructuring is taking place after the election. One more day this week and it is a ‘quasi holiday’ with it being Veteran’s Day here in the US. Bond markets are closed so expect a quieter market to end the week. Have a good evening.